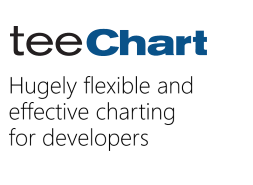 We are using Teechart.net 2012 in which we are plotting data on stack chart. The coordinates as specified in the data is a bit different than it is plotted on stack chart. We are not sure as to what setting needs to be done so as to get the correct results on chart too. We are attaching the data which needs to be plotted and the snap shot of stack chart. Please guide us as to how we should correct the display. Re: Stack chart data mismatch. I'm not entirely sure how you created your chart from the data you show - would you please be so kind as to create a minimal, complete, and verifyable example which I can run here to reproduce your issue?